Huang Du, International Famous Curator, Critic. Curator of "RHIZOME: A Survey Subject of Chinese Contemporary Arts"
The academic forum on“Chinese Contemporary Art in a Global Context”that co-organized by School of Humanities, Central Academy of Fine Arts and Today Art Museum will invite international scholar, art critic and historian Jonathan Harris who recent researched in the field of Globalization and Contemporary Art World from the head of School of Art, Birmingham City University as the speaker. 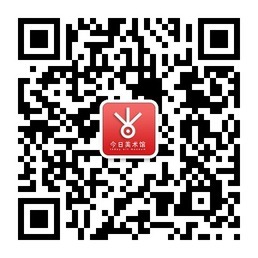 This forum will be hosted by Professor Shao Yiyang from Central Academy of Fine Arts, it will focus on the development of Chinese Contemporary Art in a Global Context, associating with the latest art exhibition <RHIZOME- A Survey Subject of Chinese Contemporary Arts> that curated by Chinese leading Curator Du Huang . 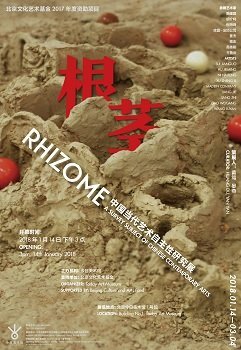 This exhibition intends to introduce the Rhizome theory of Deleuze that applied in Chinese contemporary art practice under international context, creating a special discourse on Chinese contemporary art practice. This academic forum aims to generate a discussion on the connection between theory and practice in the context of Chinese Contemporary Curatorial Practice, in the mean time, Chinese Artist Sui Jianguo and Jie Jiang will participate in this academic forum to discuss the issue of initiative and creativity of Chinese Contemporary Art Practice.